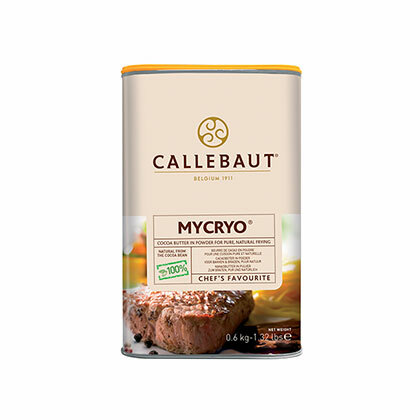 Callebaut Mycryo Cocoa Butter has neutral taste and white colour. 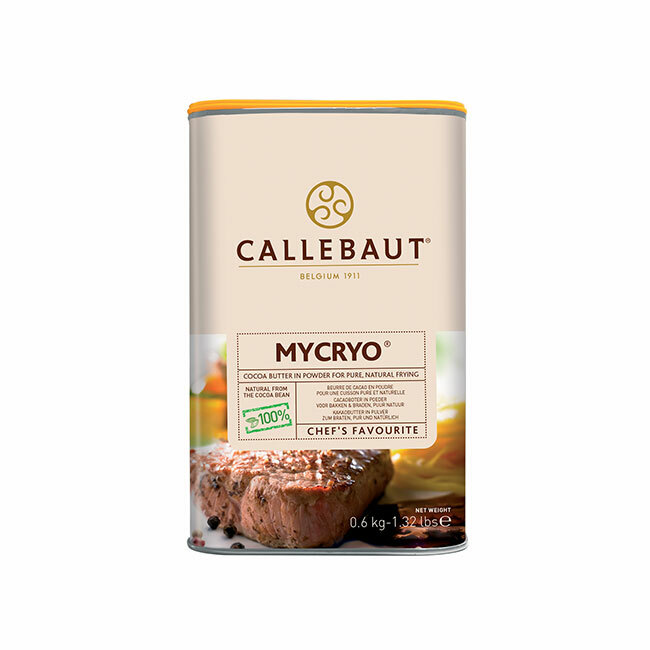 Adding just about 2% Mycryo™ to melted chocolate seeds the necessary stable crystals to create perfectly pre-crystallised chocolate conveniently. 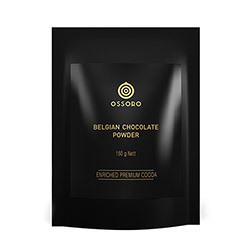 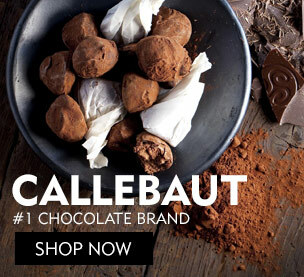 Callebaut Mycryo Cocoa Butter is a 100% natural ingredient pure cocoa butter in powder form. 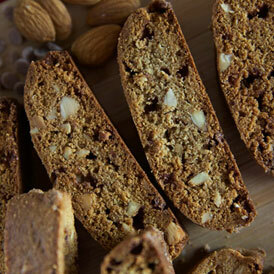 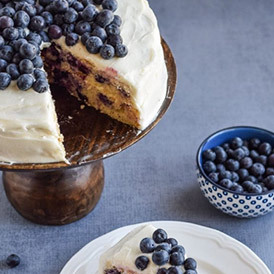 It presents a true revolution for tempering. 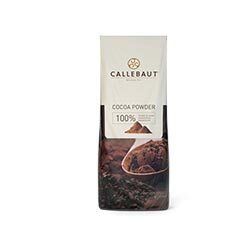 Adding just about 2% Callebaut Mycryo Cocoa Butter to melted chocolate seeds the necessary stable crystals to create perfectly pre-crystallised chocolate conveniently. 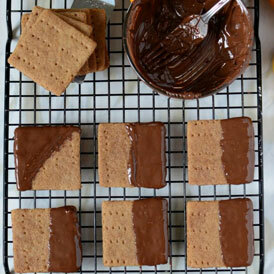 On top, the addition of the cocoa butter will give your chocolate more gloss and a harder crack. 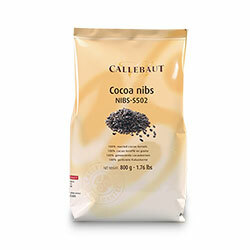 Callebaut Mycryo Cocoa Butter is also a wonderful vegetable fat for frying and grilling. 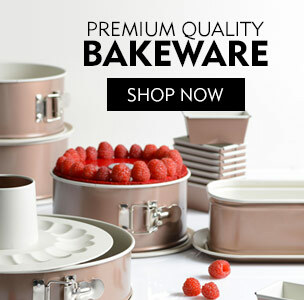 It resists frying temperatures better than butter or oils, and doesn't burn. 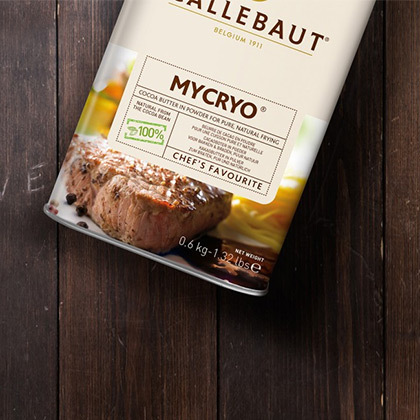 In addition, Mycryo™ brings out the natural flavours of even the most delicate ingredients, like scallops or foie gras. 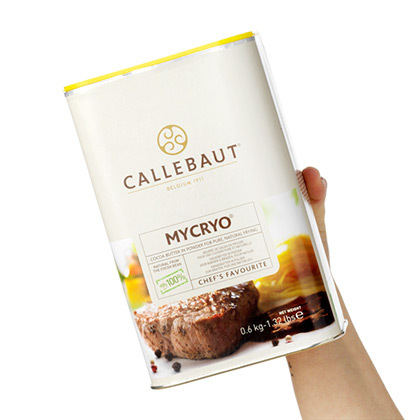 Just roll vegetables, meats, fish or poultry in Callebaut Mycryo Cocoa Butter and fry or grill the ingredients in a hot pan or on a hot grill. 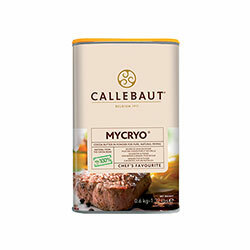 You can even mix Callebaut Mycryo Cocoa Butter with herbs or spices.